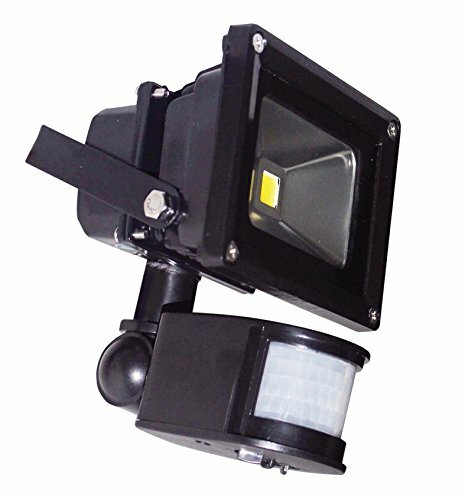 The 10 W LED IP65 Waterproof Outdoor Flood Light with PIR sensor has a robust, aluminium alloy body with a black finish to the housing and features toughened glass, making it perfect for use outdoors or indoors as required. It is ideal for use as an energy efficient lighting source; with potential savings of up to 75% in running costs compared with similar products. This super bright LED floodlight is recommended for security lighting, commercial lighting, residential lighting, spot lighting, garden/patio lighting, car parks, walkways and wallwash lighting. Suitable for commercial or home use. Instant Full Brightness. Ideal for General Indoor or Outdoor use.